The Renegade Mouse is a breed of mouse found in the Derr Dunes. It is known to drop Delicious stones as loot. The Derr Tribe train their warriors to fight without discipline or regard for their own safety, making them an unpredictable and dangerous adversary. The Renegade mouse will stop at nothing to outwit a hunter's trap. The Renegade Mouse has no specific preference for any kind of cheese. The Renegade Mouse drops the Derr Egg during the annual Spring Egg Hunt. 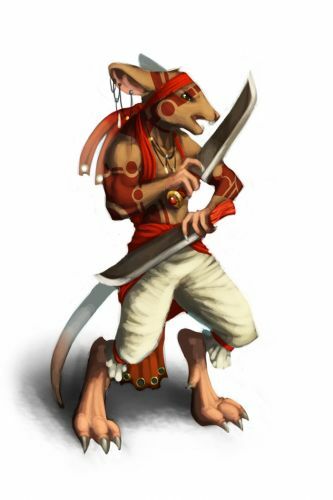 21 July 2009: The Renegade Mouse was released with the introduction of the Tribal Isles region. 14 April 2011: The Renegade Mouse began dropping a bonus Derr Egg as loot during the Spring Egg Hunt 2011 event. 29 July 2011: The Renegade Mouse began dropping Derr Power Charms as loot for the duration of the Tribal Bonus Loot Weekend. The Derr Tribe train their warriors to fight without discipline and no regard for their own safety making them an unpredictable and dangerous adversary. The Renegade mouse will stop at nothing to outwit a hunter's trap. This page was last edited on 27 May 2017, at 02:15.